There’s a strong chance that it’s pelting down with rain in the UK while you’re reading this, but just a short flight away in Turkey, temperatures are a balmy average of 20 degrees in October. The south coast of the country is a great option for those who’d prefer to turn themselves brown at this time of year, rather than watch the leaves do the same, and the climate is perfect for onboard or on land exertion. Or for simply lounging on the beach, if that’s more your style. But sea lovers are especially well catered for in this part of the world as the maritime history of the Turkish coast goes back almost as far as the history of the sail itself. In fact, Turkey’s Underwater Archaeological Museum holds the remains of the world’s oldest known shipwreck, discovered outside the small seaside village of Kas. Easyjet and Monarch fly to Antalaya, the airport that best serves the south west coast of the country, for just over £100, depending on departure airport and time of day, and flights take just over four hours. Here’s our pick of the best spots to try. Marmaris has a beautiful coastline, friendly people, good fresh foods and even local wines. The Mediterranean resort town has a busy, pebbly beach, long seafront promenade, and beautiful clear waters. Nightlife is generally buzzing, although it’s likely to be more subdued at this time of year. Marmaris sees itself as the yachting centre of Turkey and is situated right in the intersection of the Mediterranean Sea and the Aegean. Marmaris International Race Week runs from 24 – 30 October and promises to be hugely entertaining whether you’re a participant or an observer. 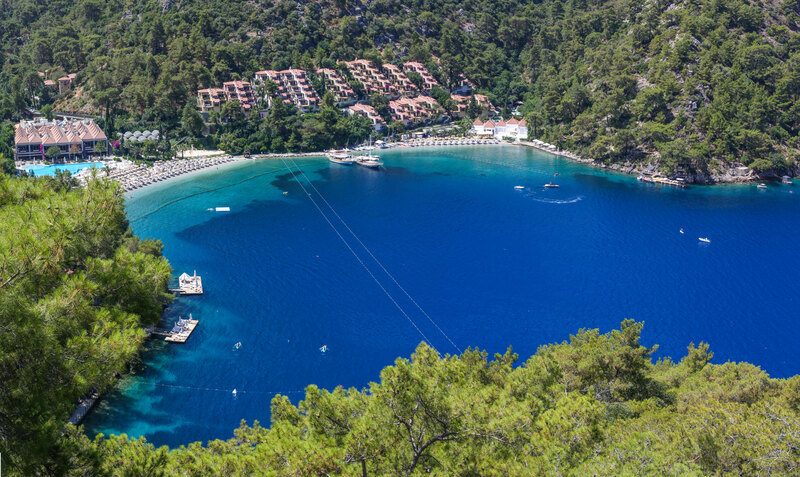 If you’re in the market for a sailing holiday, but would like somebody else to put the hard work in, Sail in Turkey offer a selection of one or two week yachting holidays that start in Marmaris. If you’d prefer to charter a vessel, there are many companies to choose from, such as Phoenix Yachting or Sunreef Yachts Charter. And if you’re planning a long trip, you could even pop over to the Greek Islands. 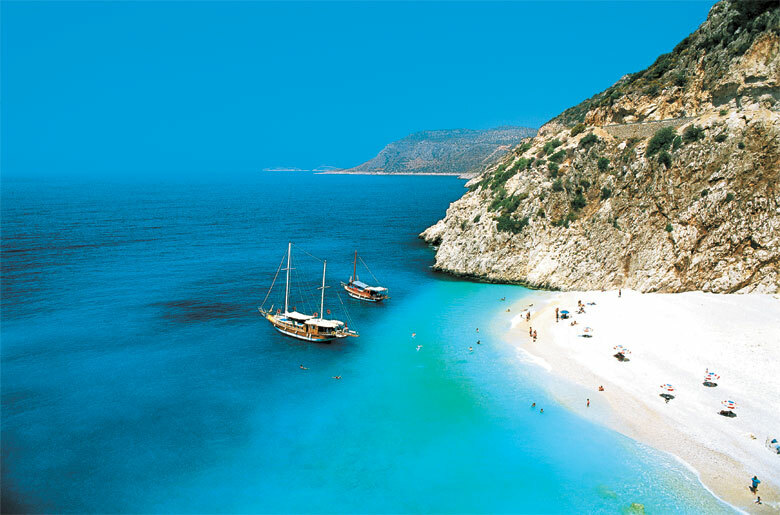 But why not sail just down the coastline to Antalya? Antalya is the largest Turkish city on the west coast of the Mediterranean, and was once known as the gateway to the Turkish Riviera. The city is centred around a Roman-era harbour and at its centre is Kaleiçi, meaning ‘within the castle’, the beautifully preserved old city district. If history is your bag, there’s Hadrian’s Gate to contemplate, built for the Roman emperor’s visit in 130AD, plus the Antayla Museum that has exhibitions from the Stone and Bronze Ages to the Byzantium. As you’d expect from a city with such a long history of sailing, excursion yachts are available by the dozen in the harbour, which will take you to Kemer, Phaselis or Olympos. If you prefer to travel in-land, the Manavgat Waterfalls are a breath-taking sight; tour companies such as Viator will take you there and back from your hotel. Fethiye’s natural harbour is arguably the finest in the region, and scattered with pretty islands; you may recognise Şövalye Adası from the James Bond adventure ‘Skyfall’. If you fancy a chill along your spine to cool you down on a hot day, you could take a trip to the ghost town, Kayaköy, occupied from ancient times until 1922 when the residents were pushed out during the Greco-Turkish war. For a thoroughly modern adventure, you could book into the Hillside Beach Club that has sailing activities suitable for everyone from novices to experienced yachties. For more ambitious and experienced sailors, the resort offers bareboat training on a Hanse 415 sailing boat, and divers of all levels can acquire SSI, PADI and CMAS certificates at Hillside Beach Club’s Diving Centre. You’ll need to book quickly though: the resort is open until the end of October, then closed until April. Turkish food is largely the heritage of Ottoman cuisine: a fusion of Central Asian, Caucasian, Middle Eastern, Balkan and Mediterranean. 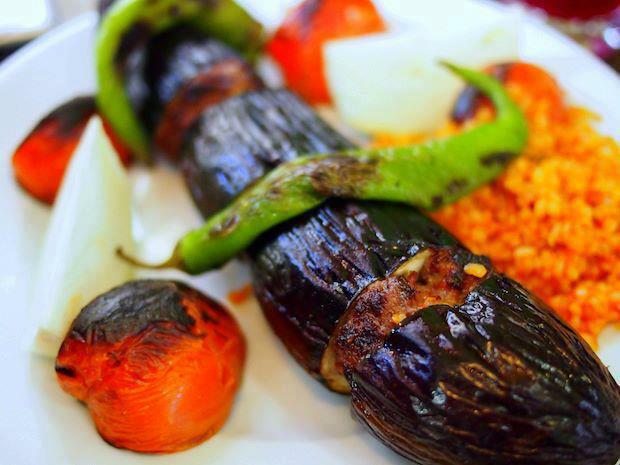 Expect robust girdled meats, delicious flat breads, a whole lot of aubergine and, yes, kebabs. There will be couscous dishes and falafel galore, stuffed vine leaves, cacık and pilav -a rice dish – all on offer. For dessert, make sure you’ve saved room for halva and the sinfully sweet baklava. And wash it all down with Turkish coffee, but beware, it packs a serious caffeine punch. And don’t forget, there’s Turkish wine to enjoy too.